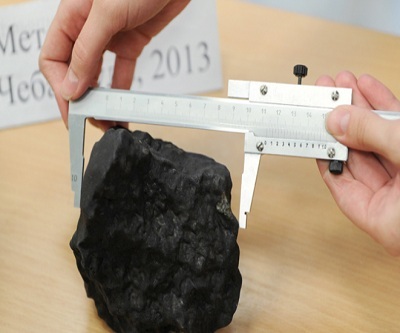 A massive, one kilogram (2.2 lbs) meteorite fragment has been discovered by a team of Russian scientists. The scientists, from Russia's Urals Federal University, have found over 100 fragments since the meteorite explosion over the Urals region on February 15th. The hail of fragments have caused something of a frenzy as wealthy collectors, including Steven Spielberg, are known to open their wallets for meteorite pieces. One major hot-spot for treasure hunters is a wide crater in Lake Chebarkul in the southern Urals.